If someone was talking about you, would you bother to find out what they were saying? It could be yes or no for you. However, for businesses, there’s only one option — it’s always a ‘yes.’ They need to know what the consumers are saying about their brand. Since emotions are valuable commodities in business perspectives, many companies are unceasingly developing automated tools to recognize them in a process known as sentiment analysis. The ability to extract emotions from text is an extremely valuable tool, not just for social media companies, but for business owners and advertisers as well. But how does this technique work, what are the advantages and what good could it do to your business? As of June of 2017, Facebook achieved a high-flying status with its two billion users, while Instagram has reached 700 million users and Twitter about 317 million. Even though Twitter has a relatively small audience base, tweets provide a nicely controlled domain for targeted online research. It’s vital for business owners to listen carefully to the feedback about their brands. What’s even more important is to identify whether word of mouth is an asset or liability to the brands’ reputations — sentiment analysis can help in this area. 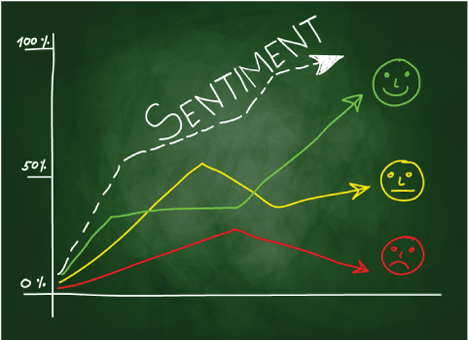 Sentiment analysis applies to social media platforms and blogger outreach platform to study the behaviors and reactions of audiences and their responses to contents. The analysis of people’s opinions can yield helpful insights to find out how they feel about services, products, topics, organizations, events and well-known individuals like CEOs. While 20,000 mentions for your brand on Twitter last week is a spirit lifter, you’re in big trouble if these mentions are all about complaints. You can determine the state of your marketing strategy on social channels through sentiment analysis. Tailing the sentiments of the audience helps you understand how they feel behind every social media post. Knowing the emotion behind a post can supply valuable context for you on how to respond and proceed with your next business agenda. Sentiment analysis provide helpful insights that drive effective business decisions, strategies and objectives. These solutions offer event analysis, automatic reports, and adaptable categories. There are sentiment analysis tools that aid with brand management through understanding the motivations behind positive, negative and neutral opinions about a particular product or service. Business leaders can use it to obtain in-depth information from blogs, reviews, forums news and social media posts. It’s handy when it comes to benchmarking competitors and markets. Furthermore, sentiment analysis can also understand and track purchase intent via sales funnel. Marketing managers can utilize it to evaluate how the latest campaigns are affecting brand sentiment as well as highlight which demographic segment generates the most interest. Comprehending the reactions of your audience to your posts helps you curate a solid plan for future content and campaigns. Let’s say that your social media team runs a campaign about your brand’s new line of facial wash which features microbeads that act as scrubbing agents. After the product launches, your social team perceives that majority of conversations are negative due to the undesirable effects of micro beads. For the above example, the brand can adjust the messaging accordingly and create mitigations such as pulling out the product from the market, making a public donation to distinguished environmental organizations, just to name a few, etc. If there’s a large outcry towards the product, monitoring sentiment can help to stop the sharing of tone-deaf social media posts. It allows brands to administer a simple market research and adapts its tone — before going further with new features, products or services. The success of every marketing campaign isn’t only measurable in high number of likes, comments, or followers. The number of positive discussions you can help facilitate with your customers also makes up the success equation of your marketing campaign. You can see how much positive or negative discussions occur within your audience by doing sentiment analysis. Combining the qualitative and quantitative measurements helps you scale the real ROI rate of your marketing campaign. According to Nick Martin, coordinator of social engagement at HootSuite, sentiment analysis is an effective tactic for blogger outreach, customer service, and support representatives as they can react efficiently and monitor dissatisfaction before negative sentiments from consumers spread. This factor is very critical among B2C organizations such as hotels, shops, restaurants, etc. When you’re interacting with the public face-to-face, and rely upon favorable reviews for business, it’s paramount to tune into your customer’s’ feelings towards your brand in a consistent matter. It will serve another purpose too — you’ll have a chance to convert a bad customer experience into a positive one. It’s a must for every public relation and corporate communications professional to pay attention to brand perception. It’s the part of a PR professional to guarantee that the message they share to the public is targeted and relevant. They can more easily do that by knowing how their audience audience feels about certain topics — which exactly what sentiment analysis does. Sentiment analysis is also beneficial for keyword monitoring for PR professionals. Apart from hearing what the public has to say, they can find thought leaders and influencers having conversations about their brand. It’s clear that sentiment analysis is an incredibly influential tool, however, it’s still a young science that marketers and advertisers should use it with caution. The more data you gather about your audience and industry, the higher chance of success you will have. Sentiment analysis may be a complex technology to master, but when you do, the benefits it will render is massive.